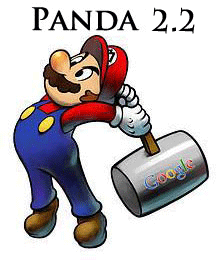 Before I went offline for two days, I wrote about a possible Google Panda 2.2 update - officially the update was not released yet, but Matt Cutts said it is coming soon. This came out of SMX with "You & A" keynote with Google's Matt Cutts. Search Engine Land and Outspoken Media are the two main blogs being cited, but Matt McGee has a summary of it all as well. The main thing I have been pushing for a couple months now is that no one has recovered from Panda and that question was indeed addressed. DS: You guys made this post with 22 questions, but it sounds like you’re saying even if you’ve done that, it wouldn’t have helped yet? MC: It could help as we recompute data. Matt goes on to say that Panda 2.2 has been approved but hasn’t rolled out yet. Has the algorithm changed enough where some people have actually recovered from Panda? DS: Has it changed enough that some people have recovered? Or is it too soon? MC: The general rule is to push stuff out and then find additional signals to help differentiate on the spectrum. We haven’t done any pushes that would directly pull things back. We have recomputed data that might have impacted some sites. There’s one change that might affect sites and pull things back. Yes, this is a manually run algorithm and with only 2 updates to the update, no recoveries have been marked. Will 2.2 reverse that, I am not sure but time will tell. So in short, 2.2 is not out yet - I am not sure what that hiccup was. When it comes out, it might address more of the scraper sites out there but no idea if it will reverse some of the false positives. Forum discussion at WebmasterWorld & Google Webmaster Help.